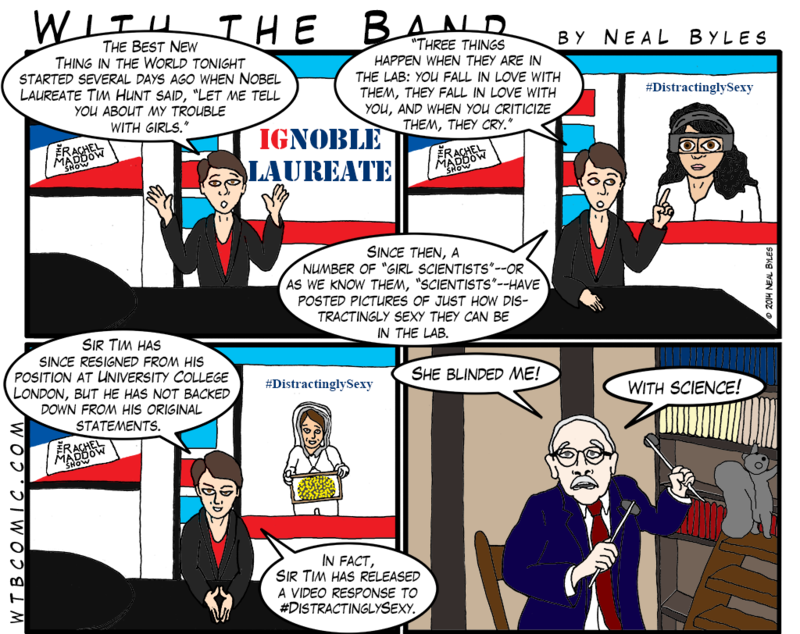 Sir Tim Hunt said some ridiculous, stupid, and antiquated things. I don’t think, however, that he should have had to resign for them, but Great Britain does not have a legal right to free speech as we do in the United States. What should have happened is what #DistractinglySexy has done: meet stupid speech with smart, funny speech.